Relax on your balcony and watch the boats go by on the Intercoastal Waterway. Or jump on your boat to take in the sunset on Bon Secour Bay. Or soak up some sun at one of the 2 pools on the property. 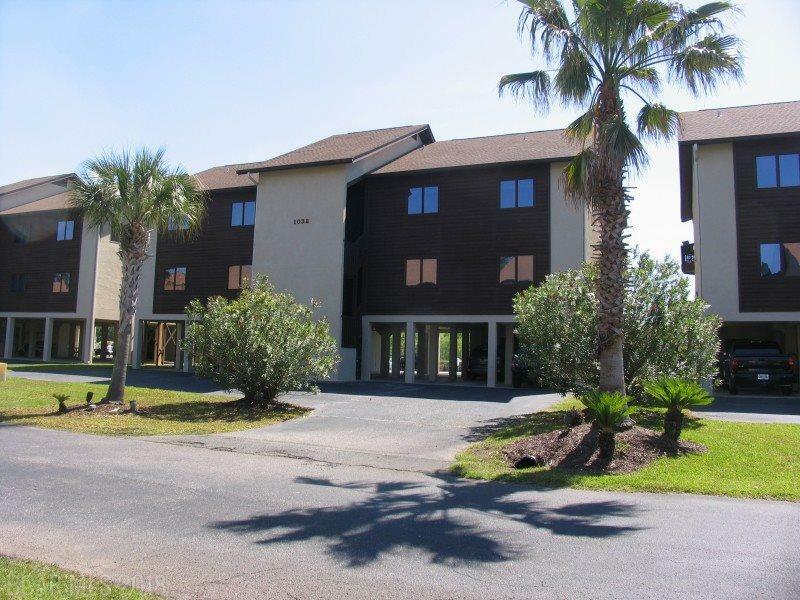 This 3 bedroom, 2 bath condo has been completely remodeled. Enjoy the open floor plan with glass doors and windows opening onto a wrap around balcony from the living area. The gourmet kitchen has granite counter tops, stainless appliances, a "touch" sink, duel oven range, cabinets with soft close drawers and roll-out shelves, and more. The master bath has a glass-topped vanity and a beautiful huge walk-in shower with two shower heads. The 2nd bathroom includes a custom vessel sink made by a local artisan. Your assigned boat slip has a 10,000 pound lift and is right outside your balcony in the Sailboat Bay marina. Private elevator for the 4 units in the building. Top floor unit. Large storage room and assigned parking on the ground floor.